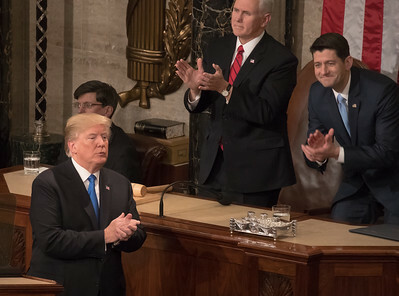 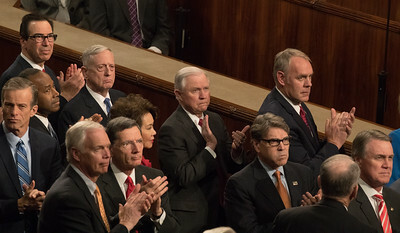 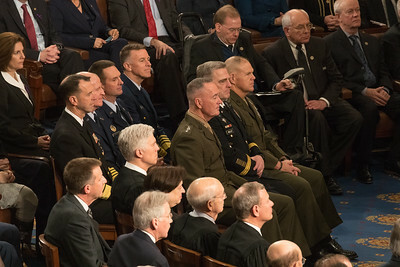 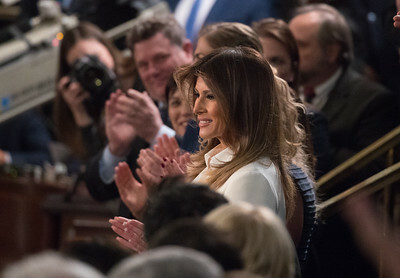 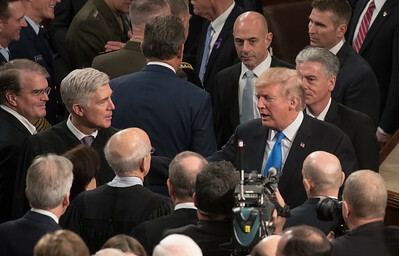 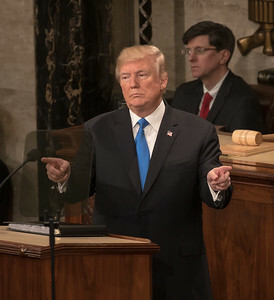 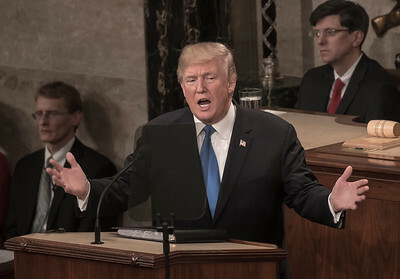 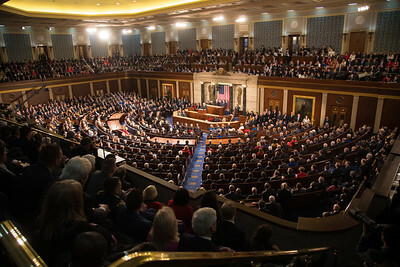 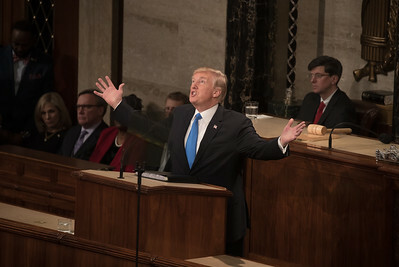 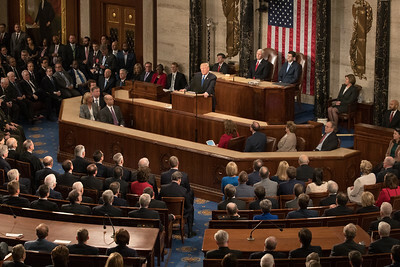 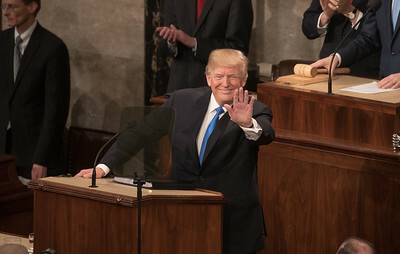 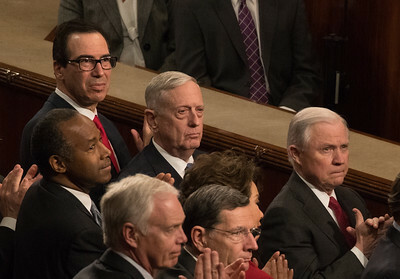 On Tuesday, Jan. 30, 2018, President Donald J. Trump delivered his first State of the Union address to a joint session of Congress. 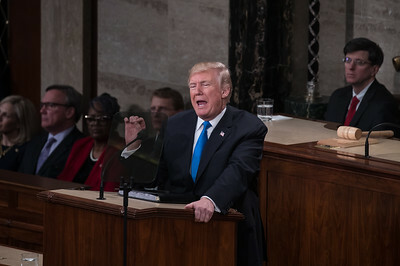 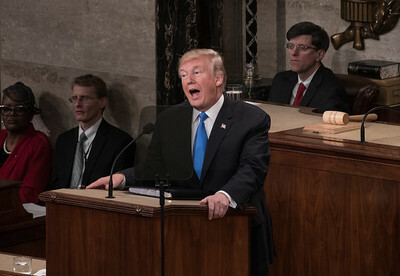 The third-longest State of the Union speech on record lasted just over one hour and 20 minutes, during which the president touted the strength of the U.S. economy while stressing the need for immigration reform and a powerful nuclear arsenal. 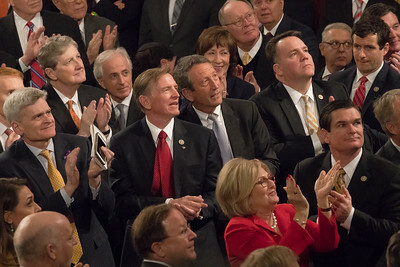 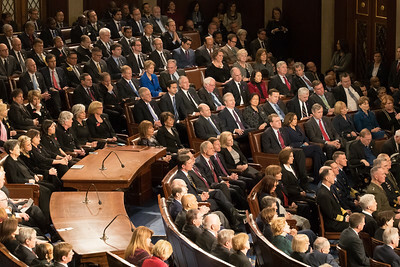 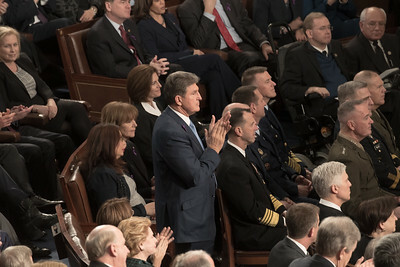 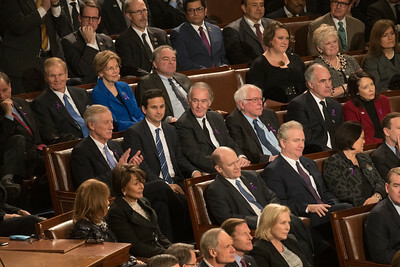 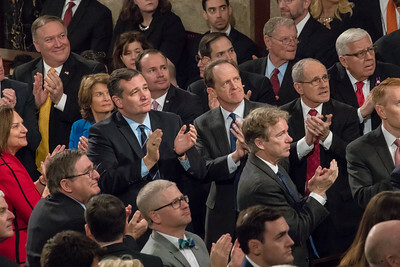 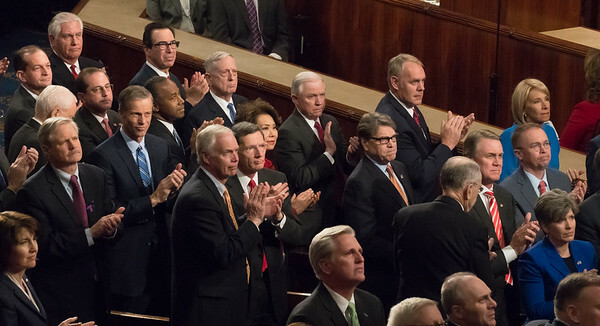 Reflecting the deep divisions on Capitol Hill, Democrats more often remained seated during the many moments of applause, though there were bipartisan ovations for some of the State of the Union guests. 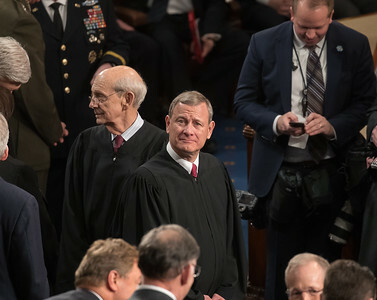 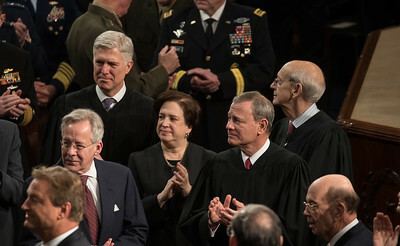 U.S. Supreme Court Chief Justice John Roberts gazes upward prior to the speech. 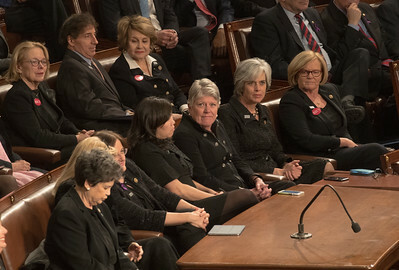 Congressional Democrats wear all black protesting sexism, sexual abuse, and notably, sexual harassment of the kind that Trumo himself has been accused of. 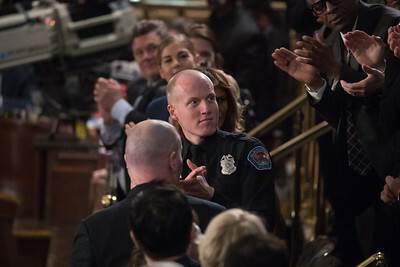 Albuquerque N.M. policeman Ryan Holets (center) was a special guest of President Donald J. Trump and First Lady Melania Trump. 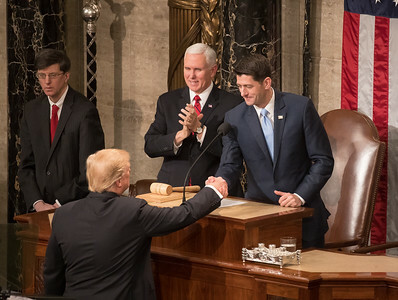 In December, CNN published a story about Holets’ decision to adopt the baby of a pregnant, homeless drug addict which he encountered on duty. 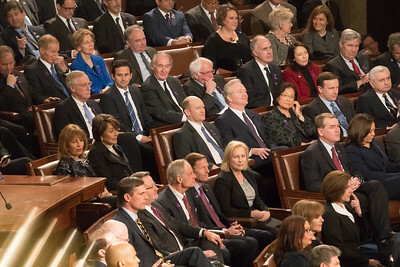 Holets sat next to the First Lady during the speech.